I'M READY. LET'S GET STARTED. FEEL BETTER. LOOK BETTER. DO BETTER——IN ALL ASPECTS OF YOUR LIFE! Stuck, frustrated and ready to give up on your health goals? Are you exhausted, bloated and sick of your aches and pains? Do you wish you could feel confident in your clothes and excited about your life? Are you tired of trying this diet plan, that exercise regime and yet another fad program? Who wouldn’t be fed up by these scenarios? BUT WHAT IF FEELING AND LOOKING YOUR BEST IS EASIER THEN YOU THINK? You can lose weight and get your confidence back. You can heal your digestive issues, bloating and other chronic health conditions. You can reduce inflammation and feel freedom over your aches and pains. 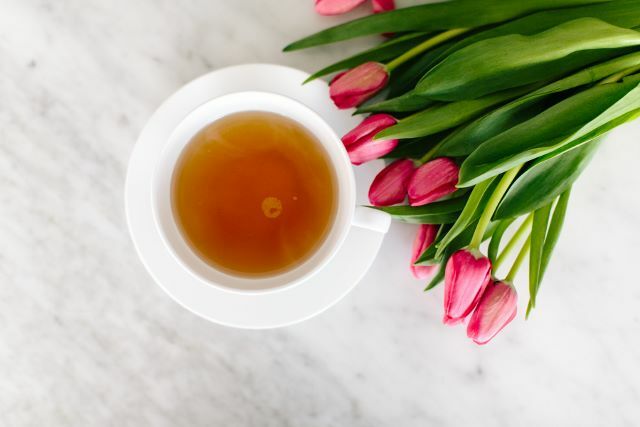 You can wake up full of energy—feeling calm, centered and ready for an extraordinary day. You can be excited about your next meal (without counting calories!) and actually look forward to your workouts. And, you can take back your health, your power and totally love your life. NO MATTER HOW YOU FEEL, YOU HAVE THE POWER TO CHANGE YOUR REALITY. That’s why I created this program. It’s unlike anything you’ve ever experienced, and the support, care and coaching are unparalleled! And, guess what? It wont take long to see huge improvements in your well-being. IMAGINE bUMPING INTO a fRIEND AND THEY’RE aMAZED bY hOW gREAT yOU lOOK! Imagine having the energy to play with your kids or try that new hobby you’ve wanted to explore. Imagine feeling strong and healthy in your body. Imagine feeling happy in your heart and your clothes. Imagine feeling calm and centered in your mind, ready for life’s challenges and rewards. Imagine excelling at work because you finally have the mental focus to pursue your goals. Imagine all of this and more—because it’s possible. You can feel your best and you can make it stick. It’s a decision you make one choice at a time, and I will hold your hand every step of the way. IT’S yOUR hEALTH. IT’S yOUR tIME. To burst with energy. To consistently get a good night’s sleep. To remain fully focused on what matters most: family, friends, your work, your hobbies. To feel your absolute best at each and every moment. But you don’t know where to start to get where you want (+ need) to go. YOU WERE CREATED TO FEEL LIGHT, STRONG, FULL OF VITALITY AND CREATIVITY. A 30 DAY PLANT BASED PROGRAM USING REAL FOOD, HERBS & ESSENTIAL OILS. ✓ FREE 2 X consultations with me, Lorna, to get you crystal clear on what you will be doing. We’ll prioritize and develop an individual plan to suit your needs. YOU CAN TAKE PART IN THIS 30 DAY PROGRAM NO MATTER WHERE IN THE WORLD YOU LIVE. 30 DAY MEAL PLAN WITH RECIPES, SHOPPING LISTS & PLANNING TEMPLATES. Say yes to your health. Say yes to thriving. In addition to eating real food, here’s how you will be using the herbs & essential oils to cleanse & restore the health of your gut + liver, and support your cells. wHY DO i NEED THE HERBS & ESSENTIAL OILS? Let’s go through each product & outline it’s role in the program. These include a proprietary blend of essential oils that also function as antioxidants, support a healthy oxidative stress respnse in cells, and provide other powerful health benefits. In other words it great for your immune system. These contain powerful polyphenols that protect cells from free radicals that can damage cellular DNA, mitochondria, and other critical cell structures. Basically a fancy pants way of saying that is reduces oxidative stress. Reducing oxidative stress is really important because free radicals can damage cellular DNA & affect fertility & unhealthy aging. These are a balanced formula of essential vitamins & bioavailable minerals carefully formulated to provide optimal levels of key micronutrients that support energy & immune functions. Basically it contains a bunch of wholefoods like kale & spinach that don’t taste that great in a smoothie. 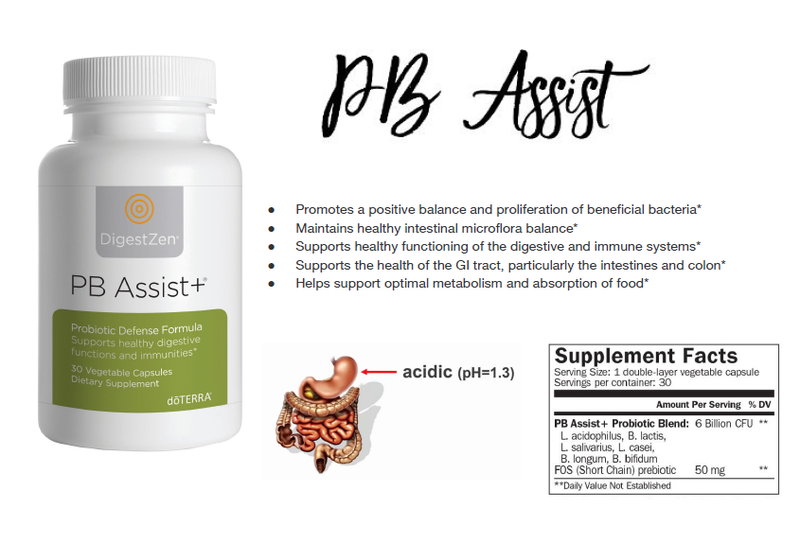 GX ASSIST & PB ASSIST+ keep your digestive system healthy & happy. Use GX Assist to naturally cleanse your digestive system. Then use PB Assist+ to boost your beneficial bacteria. Use Terrazyme - Digestive Enzyme Complex to assist with the digestion of your food freeing up energy for other things. It encourages all of your filtering organs, including your skin, to function optimally. When your filtering organs do their job, the result is a more robust operating system overall. This impacts the way we process emotions, as well. DDR Prime, the Cellular Complex is a blend of oils very specifically used to support healthy cell renewal and growth. This is a compliant way of saying you put DDR Prime on and in your body if you don’t want things growing that rhyme with rumor. You’ve got one life. Own it. I WANT IN! HOW CAN I JOIN THE PROGRAM? If you don’t already have a doTERRA account follow these instructions. CLICK HERE & start by selecting JOIN & SAVE. Review your options & click JOIN DOTERRA. Note; most people choose a customer account. Enter your country and language. Complete all of the required information on the 'About me' page. IMPORTANT NOTE: If the 'Enroller' field is blank, please enter my ID number 5061561, when you click on verify ID, it will show my name Lorna McCormack. This ensures that you get the special offer and training. Add CLEANSE & RESTORE VEGAN KIT to your order - by scrolling from left to right through all the kits available for your country. After you choose your kit you can add additional items to your order by typing in what you are looking for in the box below the kits. However no additional items are required for this program. PROMO - Order before Jan 15th & add an additional bottle of lemon essential oil (or any oil of greater value) to your order to receive the January promo. See details below. Enter your payment information and complete your purchase. After you’ve placed your order. Come back here & fill in this form. I’ll get back to you within 24 hours with your course access details so you can get started right away. Make sure this is the address you used to place your order. THRIVE 30 GUT + LIVER CLEANSE IS BUILT FOR THOSE WHO WANT TO TAKE CONTROL OF THEIR HEALTH TO LIVE THEIR BEST, AT EVERY MOMENT. Still not sure if that’s you? Build a healthy lifestyle, from the ground up -- you'll be amazed at what follows. Hi, I'm Lorna. I've been where you are -- and I can't wait to help you get to where you're going. For more than half my life, I didn’t fully understand the connection between my diet and health issues. I thought products, pills, and fad diets were the answer, when in fact, the answer was at the end of my fork. When I discovered my own misinformation, it kickstarted five years of study in plant based nutritional therapy, iridology, living foods, and herbology -- and hundreds of hours counseling patients through transformations via dietary lifestyle, alone. Through my own transition to a healthier diet starting with the 80/20 rule, I've dropped two dress sizes for good while relieving lifelong asthma and eczema -- but even more importantly, I’ve experienced what it means to live the fullest life possible while feeling my best. You need to know: I don’t have any advantages or special skills. I don’t have any secret tool or an abundance of time. I just have a system that worked for me -- and it can work for you, too.